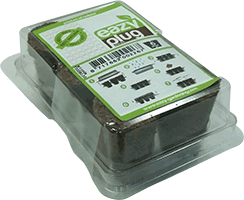 The Eazy Plug 6 plug seed tray kit from Eazy Plug make seed raising a breeze. Keeping it super simple with Eazy Plug’s peat and coco blend, you’ll find over watering a thing of the past. 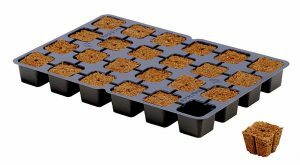 Comes in a handy tray, with a bag of top layer mix to spread over seeds once planted. 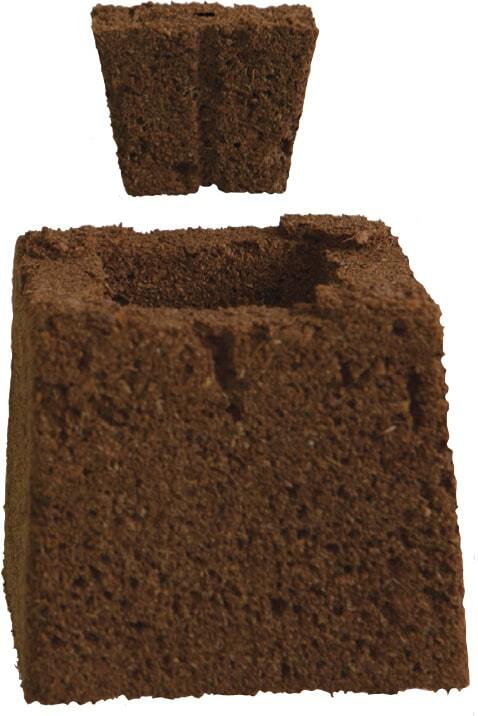 Cubes can be easily transplanted into an Eazy Block or other growing media when ready. Cubes can be easily transplanted into an Eazy Block or other growing media when roots have developed. Designed to accept an Eazy Plug - making development from cutting or seed to healthy plant a breeze. 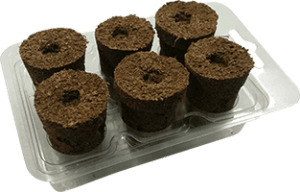 Eazy Block is manufactured without plastic covering, ensuring roots stop growing when they reach the outside of the block (air pruning). This means that the primary roots stop growing beyond the Eazy Block because they get exposed to the relatively dry air and dieback. That stimulates an abundant growth of secondary roots and root hair, that spread throughout the entire Eazy Block. This effect generates a very well developed root system with a maximised absorption capability for the best possible intake of nutrients and fluids. 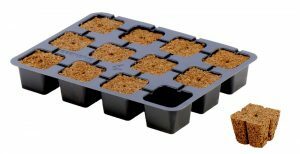 There is no doubt that in this fully natural environment your plant will have the strongest and healthiest start possible. Eazy Block has an unlimited shelf live. It is supplied dried, so it is very lightweight and clean. Accordingly there is no risk of moulds and shelf live is unlimited. The dry Eazy Block is designed to absorb water very easily and it does it astonishing quickly, whilst preserving all of its original characteristics.